I was born in Morocco in 1940, into a very religious and observant family, of rabbinical descent. My father was a rabbi in Casablanca, and in 1941 he died of a severe illness. As there were eleven children, and all small, the economic situation worsened as time went on. My mother decided to send some of her children to adoptive families. After I reached 3 years of age, she sent me also to a family for adoption. The father was a rabbi who succeeded my father. After a year and a half, this man also died and I was transferred to another family, in the town of Saffi, 100 kilometers from Casablanca. In this new family I lived until I was seven years old, when they sent me to Meknes, where there was an orphanage. There I was taken care of and taught in a yeshiva until I was thirteen. Then I went to another town, Masagan, where there was a bigger yeshiva for boys of 13 – 18 years of age. I studied until I was sixteen and a half, when I emigrated to Israel, straight into a yeshiva at Bnei Brak up, to the age of eighteen. I was then conscripted into the Army until I was 21, in 1961. After demobilization, I requested the Jewish Agency to grant me living quarters in a town in the North, where I am now, because one of my sisters was living here. I then entered the building trade, while in the evenings I was with the local rabbinate, working as a teacher in a yeshiva. In 1962 I married and in 1965 was given a job at the local post office, which suited me well, because I could finish at about eleven in the morning. This enabled me to travel to a small town not far from home, where there was a big yeshiva for rabbis. There I underwent higher Talmudic studies, until 1980, when the yeshiva closed because of political friction between the local council and the rabbinical heads of this institution. However, I obtained rabbinical status and a diploma for Jewish ritual slaughter, and a diploma to teach the Scriptures and Talmud. Today, I am the father of six children: four grown-up daughters and two younger sons. Three of my daughters have completed army service and two have married: one has two children, and the other has one. The rest of my children live at home. Dear brethren, what I have told you is a brief and very simple summary; but in reality it was not so simple, for if I had told all my past in detail, it would have taken a book to write. Therefore I shall make do with the above short account; because, until I arrived at this point, I went through a lot of troubles, shifting from family to family, place to place, from town to town, and from country to country. For the moment, this is not important. What does matter is my life in the Messiah; how, through all this, after all my life, when I went through many yeshivas and much Torah learning, I came to faith in Yeshua the Messiah. Never did I believe in Him, all the time claiming that this was a false Messiah who brought only trouble to all our generations. (This is what the rabbis, say, planting all these ideas in us all the time). At times, when I would meet a messianic believer, a very difficult situation would arise, full of arguments, when I would deny Jesus and would stand only on my beliefs, explaining to them that Yeshua could not be the Messiah since He was put to death by others. In short, never did I imagine or believe that the day would come when I would turn into a believing messianic person to be faithful to Yeshua the Messiah until I reached the situation where I was on the point of travelling to France, to a Bible College, in order that I would afterwards be a true preacher of the Messiah, Yeshua. I would especially like to be a preacher to the Jews everywhere in North Africa, since I know their language, mentality and sensitivities. I believe they lack a preacher for Jesus and I sincerely hope that, by God’s help, I shall succeed in fulfilling this holy, messianic task, to which I look forward so much, will all my heart. I am very happy to declare that my heart and conscience do not trouble me nor do they condemn me over my new faith., because I am still a Jew and will always remain a Jew. I have not denied the faith of Abraham, Isaac and Jacob. Therefore I too can certainly concur with the words of Paul the Apostle, in Romans 1:16: “I am not ashamed of the Gospel of Messiah for it is the power of God unto salvation to everyone that believeth, to the Jew first and also to the Gentile.” This verse of the mighty apostle Paul influenced me deeply and gave me the courage to receive the Lord Yeshua as my personal Saviour. Paul first persecuted, in sincere religious zeal both Messiah and His disciples, then he became the most faithful and dedicated of Yeshua’s disciples. So I really wish to believe and live like Saul amongst all the Jews of North Africa. Of course, all this blessed and important “revolution” did not occur by itself. It came through a family with whom I have been acquainted for about four years, with whom I discussed, and who were like “family” to me in all things. In them I could see a thread that linked me through them to the Lord. I saw that they were honest and genuine and faithful to the Lord. One very important point about them is that they assist the poor, which is very needful in our world today. This family is always ready to help others. Everyone whom they saw in need, whether economically or domestically, they would quickly do their best to satisfy completely. They really fulfill 2 Corinthians 9:6 15 and this also influenced me profoundly to come to Yeshua the Messiah. In the light of all this, I turn to you, my brothers and friends. Please pray for me and my wife and children, in the name of Yeshua the Messiah, that they would come into the Faith and that the Lord will reveal Himself to them, and put His Holy Spirit within them. Pray also that there should be peace in all the world, and particularly in Israel. At this time in Israel, the situation is very difficult socially, economically and religiously. The military situation is very hard, especially in the north, where we are living. There is a lot of trouble with Syria. Her army is in Lebanon, which is very close to us. For every day that is peaceful, we thank God, because the situation is like a barrel of gunpowder that could explode any moment and so war could break out between Syria and Israel. If this should happen then our situation would be most difficult. This is why we are constantly at the ready and under threat from the Arab states against Israel. The economic situation is depressing. Many factories are closing down, there is much unemployment and many young people are leaving the country. Concerning faith also, the situation is difficult. 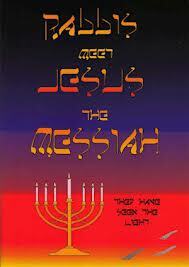 In our area the Messianic impact is light. We are very few and we welcome with much joy every believer who comes to us, but after some time he also feels the handicap and decides to leave. Perhaps he fears the military situation, or like most people, prefers the center of Israel, or Jerusalem. So, even though there are several big and developed congregations in the country, hardly anybody comes to visit us. Such a state of affairs should not exist in the Body of Messiah. All of us ought to visit each other, because we are all believers and have one Father. Therefore, I ask you to pray for us: That many more believers join us. Our happiness will double and multiply. The prayers and thanks of many is the glory of the King who is Yeshua the Messiah. However, brothers and friends with all those hardships, we live by the grace of God and always trust in Yeshua the Messiah, and constantly look forward to His salvation, soon, in our own days. I close with warm greetings in the name of the Lord Yeshua to you, your families, your countries and to all the believers amongst you.